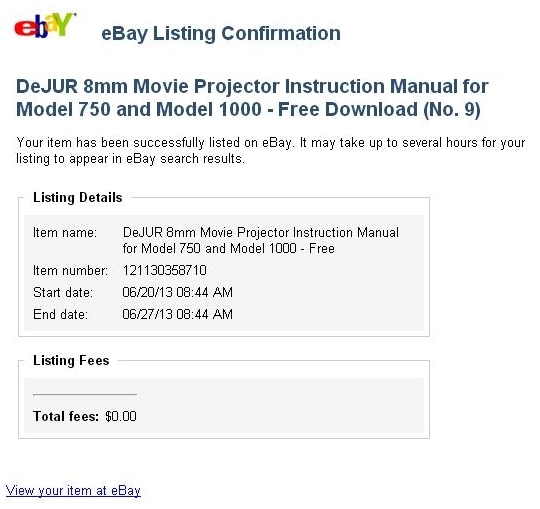 Listed the first real item from our new ProStores, SurplusCameraGear.com, to eBay today, the DeJUR 8mm Movie Projector Instruction Manual for Model 750 and Model 1000. The process is simple enough. I used the List on eBay button on the Product Information page, and selected Category 4684, Cameras & Photo\Manuals & Guides. As the manual is for a vintage brand, there was nothing to select under the Recommended Item Specifics Compatible Brand drop down menu, but I selected United States under Country of Manufacture, and added a Custom Item Specifics, Brand: DeJUR. I left Title & Description, Item Photo, and Listing Upgrades at their default settings (you'll see below that I could have made edits here that would have saved me revisions in eBay later), and skipped over the Listing Designer and Free Page Counter altogether. I listed the item as a 7 day online Auction, starting at $4.95, with a Buy it Now price of $24.95 (Format, Duration, Pricing). Under Product Attributes I had to make a selection of which one of the 3 attributes on the ProStores product I wanted to associate with this listing: Download, Printout or Original (no eBay variations on Auctions). I selected the Original Manual. Left Return Policy and Item Location at their defaults, and entered Shipping Information, Domestic and International USPS First Class and Priority options. The Payment Options were set to PayPal by default, but the email I opened this ProStores account with, which is automatically populated in Store Settings > Payment Prefs > PayPal Payments (and subsequently in the eBay Listing Template), was not the one associated with my PayPal account. I updated it to the correct one in the listing as well as Payment Preferences. 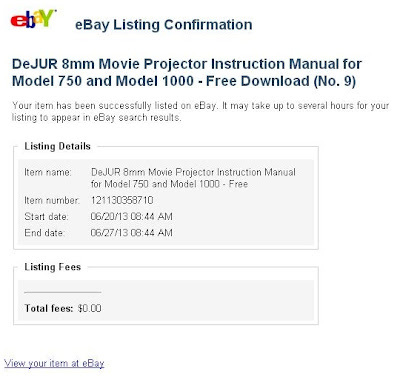 I kept the Submit Listing at the default Submit listing to eBay now and clicked the Submit Listing button. Since only the primary image on the ProStores product will be sent over to eBay, I logged into my eBay account and revised the listing to add the additional 3 images, as well as edit the title and description to remove the reverences to the other 2 attributes (Download and Printout) that weren't being offered in this auction. 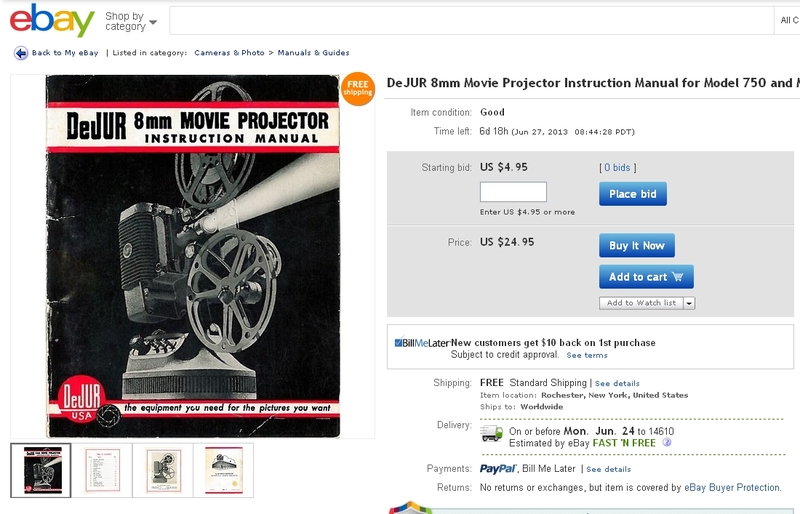 As noted above, I could have edited the title and description before listing it to eBay. 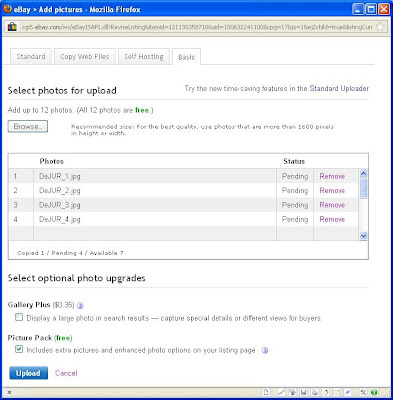 Note that there are two PictureURL: Pictures Added/Deleted entries. 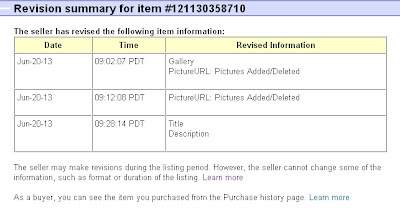 In my first attempt I used the eBay Picture Uploader, but after submitting the revisions I still only had one image on the auction! 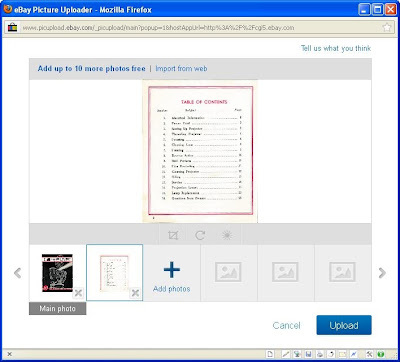 I looped back and used the Basic add pictures option, this time with success. 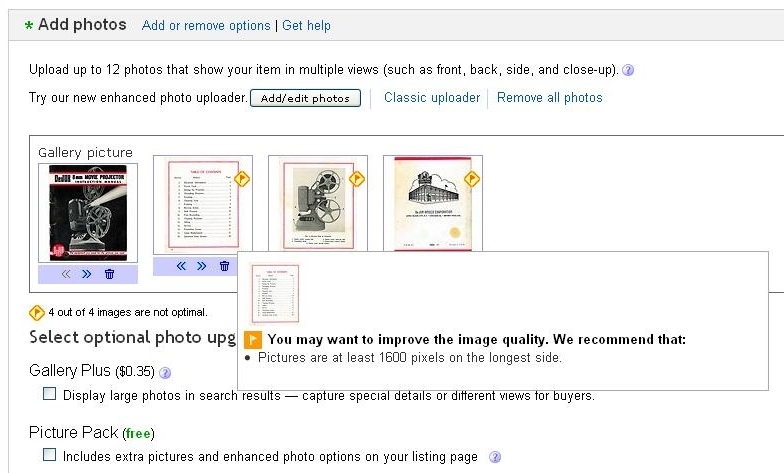 eBay now requires a minimum length of 500 pixels for the longest side; setting your camera's default to High or Medium picture quality will ensure your pictures are large enough. For the best possible display of your listing on all eBay pages, take pictures with a 1600-pixel dimension on the longest side. 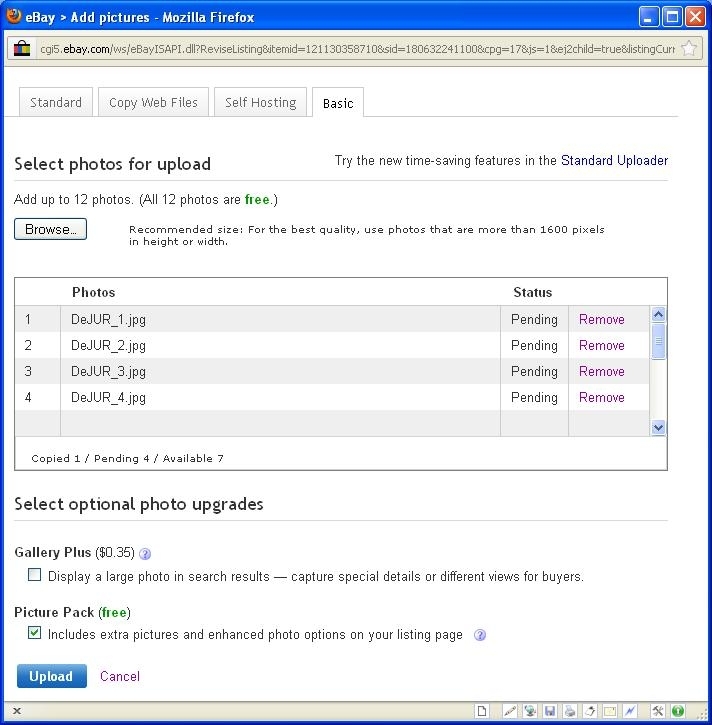 eBay has a short demo on determining picture pixel size, and have created a Top tips for taking great photos PDF document as well. In my case, the images were set to the largest size in ProStores, which is currently 800 pixels, which meets the minimum eBay requirement. We've just added a new ProStores tutorial, PST32: Using the <object> Tag to Remove Content from an eBay Description (when creating a ProStores product via Inbound Listings). 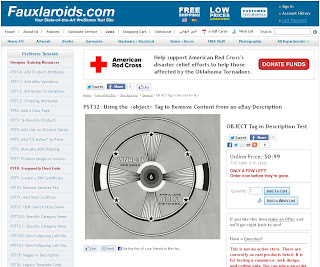 Go to to Fauxlaroids.com to see the demo product, HTML code samples, and eBay listing. It is a common practice for eBay sellers to include information about their shipping, payment/billing, return policies, etc. within their listing descriptions. Since eBay is its own beast, so to speak, there is little negative impact on eBay itself, other than when a merchant has more information in the description about their shipping and policies than the actual product they are selling (this is all too common on eBay)! However, if you are a ProStores merchant pulling in your listings from eBay to create your online catalog, this extraneous information (shipping, payment/billing, return policies, etc. — henceforth referred to as chafu) will negatively impact the Search Engine Optimization value of your content. To distinguish your items from the thousands of others on the web, you need the best product descriptions possible. The content should be unique, original, well written (readable), pertinent, accurate and keyword-rich (not keyword SPAMed). Product descriptions matter. The role of product copy is to give buyers enough information, so they could convince themselves this is the right product for them. Clarity trumps persuasion. The best sales copy is full, complete information. No hype needed. Google actively looks for duplicate content in an attempt to show relevant and unique content in their results. If they see the same content pop-up on a new site they tend to lower the new site’s relevance in search (first come, first serve). They are looking for content people are interested in finding on a page, so consider the content on each page carefully. Many good pages on a site will help the site overall by providing many contact points to your product pages. 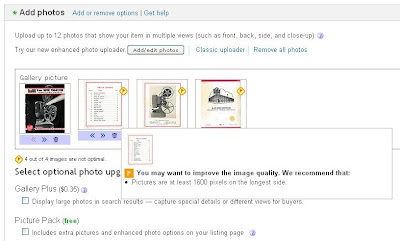 In the context of the chafu noted above, Google's advice is to "Minimize similar content: If you have many pages that are similar, consider expanding each page or consolidating the pages into one..."
This is why a free-standing eCommerce site like ProStores has an About Us, Policies, and Customer Service pages, so pertinent information can be presented to visitors in a single location, not scattered across all of your product descriptions watering-down their SEO value.